Now that the election is over, I thought it a good time to clear up a few distortions. According to the local pro big developer and commercial lobby, the real villain in Laguna is…Village Laguna. According to letter writers on the “develop at any cost” side of the political spectrum, Village Laguna is always against everything that is good for Laguna businesses, is made up of a small clique and does not represent a majority of Laguna citizens. Twenty years ago, a mobile home park on the ocean side of Coast Highway was sold to an out of town trust to build a world-class resort on the site. The initial proposal described a huge project and minimal public park. 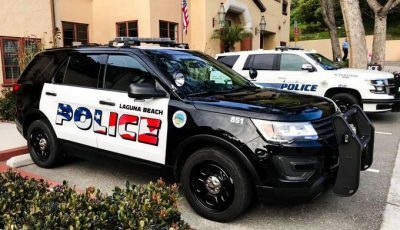 It was because of the involvement of Village Laguna members, among others, that the developers scaled back their proposals, agreed to dedicate and maintain a significant portion of the property as a public park and ultimately preserve beach access for us all. Ten years ago, my neighborhood was threatened by a proposal to build huge mansions on the hillside behind our modest community. We needed help but the only people who would help us at first were members of the South Laguna Civic Association and Village Laguna. Six years ago Orange County proposed turning Aliso Creek into a channel with a series of dams. Village Laguna joined with other community groups to discourage this proposal and save Aliso Creek for future generations. Two years ago, a parking garage was placed on the city council agenda. Village Laguna joined with others to galvanize public reaction to such a boondoggle and through their citizen action convinced the council to ultimately reject this costly and destructive project. I understand that even before I came to Laguna, the previous generations of Village Laguna members were responsible for many of the initiatives that have made Laguna the best place in the world to live. Height limits along the beach and throughout the city, a small and pedestrian friendly downtown, a business district dedicated to local, unique shops and boutiques, continued emphasis on the arts. Well, you get the idea. If you’ve ever marveled at our coastline views, at our unique downtown, at our creative restaurants, our historic and well preserved neighborhoods, the open spaces that surround us, the clean air and water that we enjoy so much, then give silent thanks to the many citizen volunteers who gave freely of their time and energy to make this happen. Village Laguna and its members were there each and every time. We should recognize their accomplishments. I do and that is why I also became a member.